Although included in the Confederation on many star maps, the stretch of systems near the Kolvarian Wastes is firmly under the control of the Bareg Threll crime syndicate. From these remote outposts, the family members of the Bareg Threll manage a vast empire of extortion and narcotics smuggling, growing wealthy on the pain and fear of many systems. However, a recent power struggle within the upper echelons of the Syndicate has transformed the Bareg Threll from a blight on galactic trade to an existential threat. The new bosses, eager to cement their hold on power through a massive cash windfall, have constructed a massive Cryoshade. 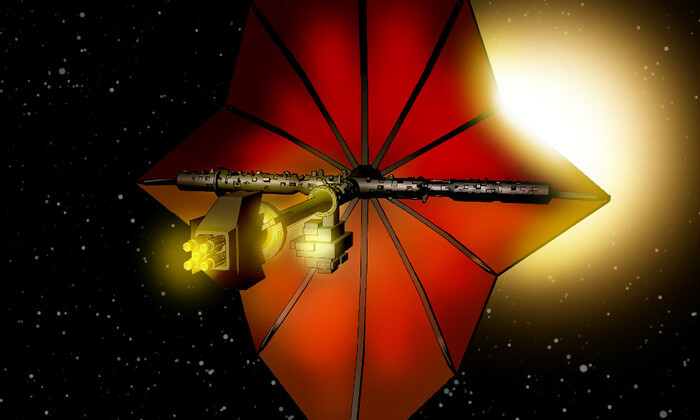 Capable of blocking all stellar radiation from reaching a planet, the Cryoshade is the ultimate tool of extortion, allowing the Bareg Threll to extract massive protection bribes from an increasing number of systems. Emboldened by their early success, the Syndicate is pressing forward with their campaign, threatening systems with both economic collapse and ecological ruin. Until recently a mere underboss of the Bareg Threll, Zelvek bribed and assassinated his way to the top of the Syndicate with unprecedented speed. Nearly a century younger than his predecessor, Zelvek is eager to solidify his position and expand his influence.